Al Tamimi’s decision to open an office in Bahrain was partly driven by the business friendly approach that Bahrain has adopted in relation to foreign investment and the opportunities that this presents to its clients. Like many countries in the Gulf Co-operation Council (“GCC”), Bahrain is tax free for most private companies (except for those in the oil and gas exploration, refining and production sectors). However, unlike many countries in the GCC, Bahrain allows 100% ownership of business assets in certain sectors. In addition, Bahrain and the United States have signed a bilateral Free Trade Agreement which became effective in 2005 and allows for the relaxation of certain restrictions on trade and investment between the United States and Bahrain. Under the Free Trade Agreement, US nationals are given GCC recognition for investment purposes, allowing them to invest in business activities that might otherwise be restricted for foreign nationals. With regard to property ownership, this is still restricted in relation to foreign investment but foreigners are allowed to buy land in certain designated areas. What this all means to Bahrain is that it has, over the years, been making a conscious effort to attract investment onto its shores. According to the Wall Street Journal’s 2013 Index of Economic Freedom, Bahrain has been ranked as the 12th most open economy worldwide. This paper provides a high level overview of what makes Bahrain an attractive destination for business investors. A commercial company established in accordance with the Commercial Companies Law (21 of 2001) (“CCL”) is the most common form of business vehicle used in the Kingdom. As mentioned, it is possible for foreign investors to have 100% legal interest in particular Bahraini business vehicles but there are sector-related restrictions which can apply. It is important to consider this a little more closely and the impact that this may have on foreign potential investors. Some sectors and activities are only allowed to be carried out by Bahrainis or entities fully owned by them and some are only open to Bahrainis and GCC nationals. Further, some business activities may require a minimum Bahraini investment, such as 51%. The sectors in which a business vehicle cannot be 100% foreign owned ought to be considered further but these generally include construction, press, publishing and distribution, car and motorbike rental, fishing, foreign manpower supply, land transportation of goods and passengers, trading, small businesses, foreign manpower, commercial agencies, certain real estate services, gas bottling and distribution and gas cylinder distribution. Despite these restrictions, it is possible for the Minister of Industry and Commerce to grant exemptions in order to allow foreign investment into restricted sectors if the Minister considers that such investment will be for the benefit of the country and development of the economy as a whole. Notwithstanding the above, there are many industry sectors which allow for 100% foreign investment such as but not limited to, technology and manufacturing, although these have to be considered separately and may be subject to other restrictions. It is worth considering the types of business vehicles that are commonly used in Bahrain. Certain business vehicles cannot be used in certain sectors, for example, businesses looking to engage in banking and insurance activities in Bahrain, can generally only do so through Public and Closed Joint Stock Companies and Foreign Branch Companies. These companies are also subject to approvals and regulations of the Central Bank of Bahrain. This form of company consists of a minimum of seven shareholders and the shareholders are liable for the company’s debts and obligations only to the extent of the value of their shares. The minimum share capital required is BHD1 million and there must be a minimum of five directors. The shares can be offered to the public and any offering of shares to the public must be subject to approval from the Central Bank of Bahrain and in compliance with the CBB’s new Offering of Securities Module (Volume 6 of the CBB Rulebook) and subject to approval of the Ministry of Industry and Commerce. The CCL states that all shareholders of a Public Joint Stock Company must be Bahraini nationals or nationals of the GCC. However, we understand that foreign investment is permitted in a Public Joint Stock Company with special approval from the Minister of Industry and Commerce, who will also determine the percentage of the investment. This is commonly known as a Closed Joint Stock Company and consists of a minimum of two shareholders. Shares in these companies cannot be offered for sale to the public and as is the case with public shareholding companies, shareholders are liable for the company’s debts and obligations only to the extent of the value of their shares. The minimum share capital required is BHD250,000 and there must be a minimum of three directors. A Closed Joint Stock Company can be 100% foreign owned but this is dependent on the business activity of the company. Both Joint Stock Companies and Closed Joint Stock Companies must adhere to the Corporate Governance Code issued by the Ministry of Industry and Commerce. 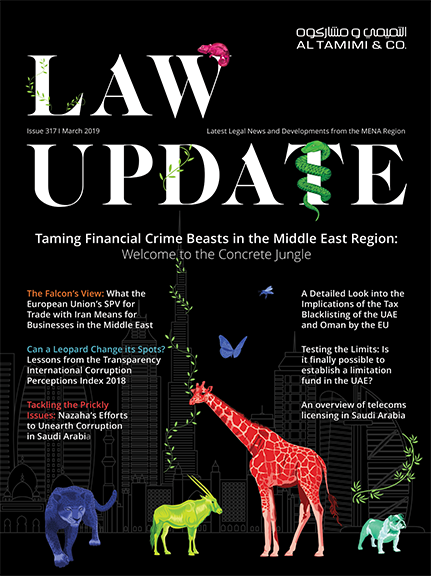 There are further regulatory requirements on companies licensed or regulated by the Central Bank of Bahrain which may, amongst other things, increase the minimum share capital requirement and board composition. A With Limited Liability Company (“WLL”) is comparable to a Limited Liability Company in the UAE and is the most common form of business vehicle. WLL’s must consist of a minimum of two and a maximum of 50 shareholders who are natural or legal persons. The shareholders are responsible for the company’s debts and obligations only to the extent of their respective share in the capital. The minimum share capital required is BHD20,000 and WLL’s are required to appoint at least one general manager who has the same obligations, duties and responsibilities as a director in a Joint Stock Company. The company cannot issue public shares and can be 100% foreign-owned, again depending on the business activity. A Single Person Company (SPC) is a company which is fully owned by a single natural or corporate person. The owner is liable for the company’s debts and obligations only to the extent of the value of his capital investment in the company. The minimum share capital required is BHD50,000. There must be at least one director and foreign and non-GCC nationals can set up an SPC provided that there are no restrictions on the business activity. A general partnership is formed without limited liability between two or more natural or corporate persons. All partners assume joint responsibility to the extent of their entire personal assets for the partnership’s debts and liabilities. There is no requirement of a minimum share capital, there must be at least one manager and again, depending on the relevant business activity, they can be 100% foreign-owned. Foreign companies can establish branches in Bahrain in order to carry out business and branches can be established either by way of an operational office or a representative office. Branches of foreign companies with an operational office are able to engage in banking and insurance activities subject to approvals from the Central Bank of Bahrain. In addition, there is a requirement for a local partner. In relation to representative or regional offices, they are unable to carry out any business operations in Bahrain and are restricted to undertaking marketing and promotional activities in Bahrain. The liability of the company must be in accordance with its parent company and it is a common requirement of the Ministry of Industry and Commerce and the Central Bank of Bahrain (if applicable) that the parent company provides a guarantee in relation to the branch and appoints a branch manager. Other types of companies exist under the CCL such as Commandite Companies but these are not as common as a means of a business vehicle. Where a foreign investor wants to enter the Bahrain market by simply introducing its products into it without setting up an entity, it can appoint an agent, who must be a Bahraini individual or a Bahraini corporate entity. The parties’ relationship is governed by the Bahrain Commercial Agencies Law (promulgated by Legislative Decree No. 10 of 1992 as amended by Legislative Decree No. 8 of 1998 and Legislative Decree No. 49 of 2002), which allows the agent to register a sole agency for the product. Bahrain laws allow for contractual joint ventures to be established between parties, which are usually governed by a joint venture agreement. Such agreements typically set out the parties’ rights and obligations, provide for how a company is operated and deal with the division of profits and losses of the company. The business vehicle for such a company will most likely take the form of one of the vehicles discussed above. Depending on the business activity of the company, a With Limited Liability Company is usually the most popular business vehicle for joint ventures. Typically, the parties’ relationship is governed by the constitutional documents of the company and a joint venture agreement. Agreements such as the joint venture agreement are enforceable only as far as they are not contrary to the laws of Bahrain. Bahrain has adopted the Bahrain Financial Trusts Law No. (23) of 2006. A financial trust is created by way of a trust instrument. Generally, any form of property or any financial right relating to an intangible asset can be included in a trust. The object and purpose of the trust must be defined and feasible and must not violate the law, public policy or public morality. The duration of a trust must not exceed 100 years. Trusts must be registered on the Register of Financial Trusts maintained by the Central Bank of Bahrain and such trusts must fulfill certain characteristics in order to be valid. v. define the object of the trust. In very broad terms, the concept of residency tax does not exist in Bahrain. Further, employees are not required to pay income tax to Bahraini authorities and there is no wealth tax, tax on capital gains or inheritance tax. There are also no corporate taxes on companies carrying out business in Bahrain and no withholding tax. However, taxes are payable in relation to the profits earned by companies engaged in oil, gas or petroleum exploration, production and refining in Bahrain. Employers must pay social security contributions in relation an employee’s monthly salary to the Social Insurance Organisation. This applies to both Bahraini and non-Bahraini employees, although the percentage payable differs. Bahrain has no exchange control restrictions on repatriation of capital, profits or dividends, which allows them to be fully transferred. The Bahraini dinar is pegged to the United States dollar at a fixed rate of US$1 to BHD 0.377. The above is only a very brief snapshot of the investment environment in Bahrain and, typically, government departments are willing to assist potential entrants into the market. There are of course other considerations for investors to take into account when setting up in Bahrain, such as labour law requirements. Indeed, a new labour law came into force in 2012 (Bahrain Labour Law for the Private Sector No.36 of 2012) which attempts to bring the rights of employees and employers in line with international standards. An amendment to the CCL has also been recommended by the Shura Council and Council of Representatives, but has yet to be promulgated. It is understood that these amendments are likely to further waive restrictions on foreign companies wanting to do business in Bahrain. Raj has over 7 years’ experience of working in Bahrain and on Bahrain related matters. He advises on a wide range of commercial matters, including mergers and acquisitions, joint ventures and project finance and has regional experience. Recent representations include acting for clients in the sports, telecommunications, power, financial services, mining and metallurgy, real estate development and software industries. Raj has particular skill in advising on infrastructure projects and large scale developments across a wide range of sectors, acting for a broad range of clients including owners, buyers, developers, project companies, financiers and international law firms.